Here’s something you maybe never thought of before: movies are not shot in chronological order. From a sheer logistics standpoint, it’s not cost effective or efficient to shoot a film in order. For example, let’s say that a film has 10 scenes to shoot on location at a beach house on the Jersey shore. Those ten scenes appear throughout the entire film, however, all those scenes would be shot together. A production team needs to set up lighting, electricians need to run wires, and a set designer basically takes over someone’s house to turn it into whatever is needed for the movie. However, every once in a while, a director opts to shoot a script in order. Here are 15 films shot in chronological order. If it’s not efficient to produce movies shot in chronological order, then why does it sometimes occur? Most often, it’s to get the best performances out of actors. In E.T. the Extra-Terrestrial, director Steven Spielberg wanted the children actors to be as emotional as possible when E.T. finally gets the opportunity to go home. The kids knew that the film was about to wrap, so when they were saying farewell to their extra-terrestrial friend on camera, they knew that they were going to be saying goodbye to all the people they met while making the movie. Some directors almost seem to prefer to make movies shot in order. Spanish auteur Alejandro Iñárritu shot his first English speaking film 21 Grams and his Oscar winning The Revenant in chronological order. Spielberg also shot the legendary 30-minute Omaha Beach scene of Saving Private Ryan in order. For whatever their reasons, some filmmakers don’t mind the possible logistics nightmare of a chronological shoot. Some production decisions are made not with ease in mind but rather with art. Not every movie on this list was a critical or box office hit. However, there are several iconic movies featured that perhaps would not be the same if not for a visionary director who wasn’t scared to break the rules. Perhaps no director in the history of cinema was more fastidious and meticulous than Stanley Kubrick. Hundreds of stories have been told about how difficult Kubrick was to work with during the year-long filming of The Shining. He was so hard on actress Shelley Duvall that her hair started to fall out and she nearly suffered a nervous breakdown. Production was only supposed to last 100 days; it lasted 250. Kubrick opted to film in chronological order so that he could have the opportunity to change things. Kubrick's compulsive nature became the stuff of legends. He was known as a multiple take director - some report that the continuous take scene of Jack Nicholson bouncing the tennis ball off the wall took over 100 takes. Additionally, the scene where blood spills out of the elevator was rumored to have taken nine days just to set up, because Kubrick didn't think that the blood looked real enough. "That’s the only way I understand the story and the characters, and that’s the way I leave the story room to grow and understand it, and make changes to suddenly what is required to do. As filmmakers, sometimes you are god, and sometimes you are a creature of the thing. In a way you have to be humble to hear what’s going on and see the transformation … even when it costs a little more. I’m not investing in visual effects, but emotional effects, and I think actors understand the emotions better when it’s chronological." In the end, the film won three Academy Awards, one for Iñárritu, which made him the first filmmaker to ever win back to back Oscars for Best Director. And of course, Leonardo DiCaprio finally took home his Best Actor Oscar. George Lucas's coming of age drama American Graffiti put the acclaimed director on the map. The film takes place over the course of a single night, as a group of high school buddies cruise their hometown strip one last time before they head off to college. Lucas wanted to shoot the film in chronological order so that the actors, growing tired from the hectic production scedule, would look more tired as the night wore on. 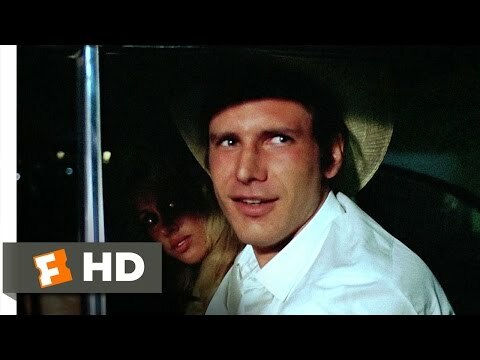 Several up and coming actors appeared in American Graffiti. Perhaps this was when Lucas thought to cast Harrison Ford as Han Solo? Richard Dreyfuss, Cindy Williams, and Mackenzie Phillips were also in the film. But it was future A-list director Ron Howard who put up the biggest stink about having to shoot the film in order. Apparently the veteran sitcom actor didn't know why Lucas chose to shoot chronologically, and he felt it was an insult to the cast's professionalism. Howard obviously later changed his tune, choosing to film the Academy Award-winning biopic A Beautiful Mind using the same method. From a logistical standpoint, shooting the 1985 John Hughes teenage classic in chronological order didn't really hurt the film's production schedule. Almost the entire film takes place in a high school library. The library set was actually built in the gymnasium of Maine North High School in Illinois. Hughes treated the shooting of The Breakfast Club like a stage play. He had the actors repeatedly rehearse the entire duration of the script, a script he wrote in just two days, before he began actual production. This was actor Judd Nelson's first film, so he thought all films were shot in chronological order.